So you want to create a meterpreter virus, but you keep getting caught by AV. How do you create one that will go undetected? In this tutorial, I'll teach you how to code your own simple virus that will download a powershell payload from an apache webserver and execute it - bypassing antivirus. 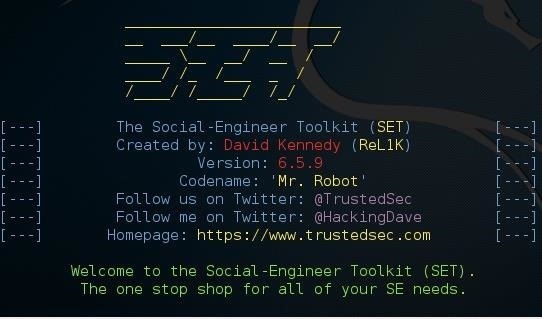 From there, type 1 for "social engineering attacks", then 9 for "powershell attack vectors", and finally 1 for "powershell alphanumeric shellcode injector". Scroll up to the top to find the interface that's connected to your network (in my case, that's "eth0"). Find what I've highlighted, "inet", and next to it you'll find your local IP adress (in my case, it's 10.0.0.13). This is what you'll input for your LHOST. Next, it'll prompt you to type in a "port for the reverse". It's referring to the "LPORT". Usually, I use "4444" as it's a meterpreter convention, but you can use any port you want so long as you remember it. Then it will prompt you if you want to "start the listener now". Type "no", we'll do this manually later. For now we're done with SET. This is because, in Kali Linux version 2, the apache root directory was moved to the "html" folder inside of /var/www/. ...and your webserver should be started. Remember to change "10.0.0.13", as your LHOST (or local IP address) will likely be different. Now we have our FUD ("fully undetectable") executable. Again, remember to change LHOST to your local IP address, and change LPORT if you used something other than 4444. Finally, type "exploit" and hit enter to start the listener. As soon as your victim runs the "evil.exe" virus, you'll get a session. I hope you found my post useful and easy to follow. As this is my first post here (or anywhere, for that matter), I would really appreciate any feedback on what I could do better. Anyways, thanks for reading my post, and good luck! Everything worked fine, until i uploaded the exe to others laptops on the same local network, with windows 7 and windows 8. Both said that the program is not compatible with this version of windows. I used same compiler as you. Yeah, I think I was originally having the same issue that you had. By "built in gcc" do you mean you were trying to compile it with gcc inside of kali? For some reason this one always produces the same error. Is it possible to use no-ip? Yeah, it should be possible. Just replace the LHOST in the virus code with your No-IP address. When i am trying to put my dns (**.dns.net) in LHOST the error is "Invalid ip address try again: "
How to avoid or bypass to this message? Yeah, unfortunately bypassing antivirus won't get you past Windows SmartScreen. In order to do that, your program needs to be added to Microsoft's list of trusted programs, or it has to have a valid code signing certificate. hi there, avg find it as a linux agent, why ? this post was really awesome and i have seen creating payloads and listeners but they were all detectable but this one is really undetectable. I also wanted to know that how can we create an apk instead of .exe virus and how to create a payload and listener for android devices. If you can answer this then that would be really helpful. I need your help regarding MITM attack , can you please guide me that when I have done successful MITM attack, then how can I RUN my payload on any system connected on that domain ??? Great tutorial so far but I can't get past step 2, because I'm lost which program you're using to do what and in which OS.. If someone is willing to help me for a few minutes that would be highly appreciated! On W7, AVAST detects the .exe as a virus upon running it. I wrote a little python script to download the file made by SET, but it get's stopped by avast..interesting to see how deep these programs go, cause I can download the index.html file on the save server just fine. can this be use for multiple targets too? as this executable is open up by multiple targets at a same time, will i be getting access to all of them? 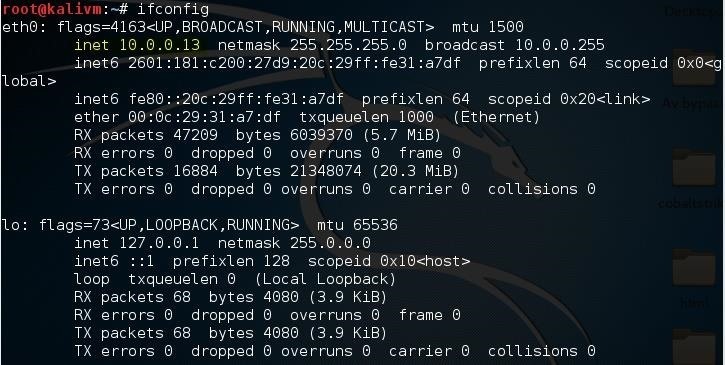 Hi, I use payload.txt with a c script and not working for me, can establish a connection with my victim (Windows 7) and my kali vm show a send stage repeteadly, however when establish a meterpreter session its failed. Iam not getting the reverse connection . It is showing that exe is not comaptable.